Celebrate New Year's Eve with a stay in a cosy country inn! Superb food, fine wine, a champagne toast at midnight and maybe even some dancing - or a Scottish piper! - will be on the agenda! Traditionally, people link arms and sing 'Auld Lang Syne' at midnight after Big Ben has chimed in the New Year. Browse our selection of one and two night New Year breaks below. For more information on what is included, please click on the arrows below the hotel details. Book now and celebrate New Year 2018/9 in style! 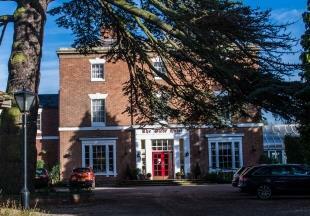 See in 2019 at the Pilgrim Hotel, a lovely Victorian Country House Hotel. Arrive on New Years Eve to a warming glass of mulled wine and mince pie in the cosy bar next to the roaring fire before settling into your room. The evening celebration begins with a candlelit 3 course gala dinner followed by live musical entertainment. At midnight, a firework display (weather permitting) and champagne toast will celebrate the end of 2018 and start of 2019. New Years Day begins with a late buffet brunch. During the afternoon a delicious afternoon tea with homemade scones awaits you in the bar and lounge. In the evening there will be cocktails and canapés followed by a candlelit Celebration Dinner in the Valley Restaurant. The next morning a hearty full English breakfast is available to bid you a fond farewell. 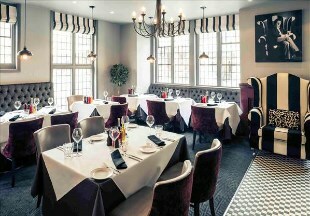 See in the New Year at a fantastic party at The Downe Arms. All drinks and food are included. Beginning with welcome nibbled and drinks from 7.45pm then the buffet is served before dancing the night away at the inclusive bar and a toast at midnight. Then before the party wraps up, hot dog or bacon rolls are available. Spend the night in one of the fantastic bedrooms before waking up to a New Years Day Brunch. 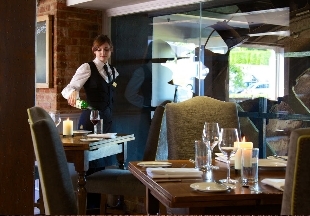 Standing on the banks of River Stour in the thriving historic market town of Sudbury is The Mill Hotel with spacious and contemporary bedrooms and boasts a working mill wheel locatied behind a glass screen in the properties AA-Rosette restaurant. 30th December: Arrive to a festive Afternoon Tea. Check-in to your luxurious accommodation and unpack before a two course dinner with a bottle of wine. New Year's Eve: Wake up to a scrumptious breakfast in the restaurant. Then spend the day relaxing or exploring the area before getting ready for the evenings festivities. From 7pm a four course dinner will be served including a bottle of wine. Then continue the night with the resident DJ who will lead you to midnight where a complimentary glass of bubbles will toast 2019. January 1st: Enjoy a leisurely breakfast before departing. Centrally situated on the High Street, this historic Grade I building boasts original Tudor features. New Year's Eve: The evening starts with a cocktail in the bar before settling down to dinner with music. Then dance the night away with our disco to see in 2019. January 1st: Start the day with a hearty breakfast before departing. 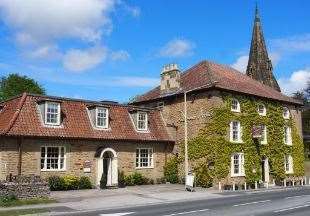 A 17th century coaching inn boasting an AA Rosette Awarded Restaurant. New Year's Eve: Arrive at the hotel. The evening starts with a drinks reception followed by a five course meal, and then party the night away with music from our resident disco until 1.00am in the morning. January 1st: Enjoy a hearty brunch before departing. Finish off 2018 with a warm atmosphere, superb food and great drink. 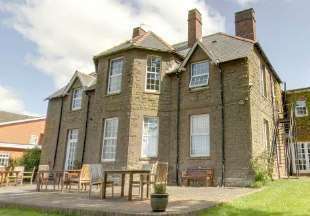 Package includes: Two nights accommodation with English Breakfast each morning, three course dinner including coffee and petit fours on 30th December, a welcome glass of prosecco prior to dinner on the 30th December, a seven-course tasting dinner on New Years Eve served at 8pm, background music played during dinner and party music after to see in the New Year. 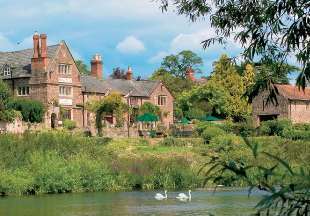 Spend New Years Eve just a short distance from Stratford-upon-Avon, the birthplace of Shakespeare, and Warwick, home to a fantastic Medieval Castle at the Glebe Hotel that boasts individually styled bedrooms, excellent food and fantastic leisure facilities. Indulge in a six course dinner then dance the year away with the DJ who will be playing tunes from the 60s to present day. At midnight “The Piper” will herald the New Year in. 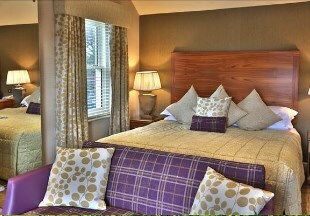 Then retire to your individually styled & comfortable bedroom. On New Years Day, brunch will be served until midday, so treat yourself to a lie-in. 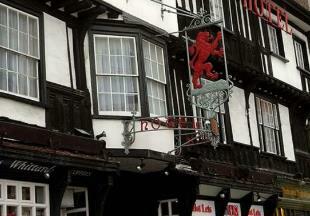 This 17th century building mixes traditional and modern decor to present a 4 star hotel. New Year's Eve: Your New Years celebration starts with Prosecco and macaroons served in the lounges in the afternoon. Enjoy a Champagne & Canape reception at 7pm before a lavish Black Tie Gala Dinner to the sound of a harpist. Later we will have a visit from local pipers, fantastic entertainment and a firework display at midnight. The disco will continue into the wee hours to welcome in 2019 in style. January 1st: Enjoy a leisurely breakfast. Afternoon tea will be served between 2pm and 4pm in the lounges. Dinner in the evening is accompanied by a pianist and followed by the sounds of the Rag Tag Misfits. January 2nd: Time for breakfast and to say your goodbyes.